Albert Einstein once said: "I never think of the future - it comes soon enough". And it is true, the future is already there. The invention of the steam engine enabled the first Industrial Revolution, automation characterised the second one, and the third is also called the Digital Revolution. Analog the Internet Revolution changed our lives within the last 20 years. A major milestone was reached in 2014 when more connected devices existed than people living on this planed. This trend encouraged the development of the Internet of Things (IoT) and enabled fascinated research towards intelligent, self-aware, autonomous Cyber Physical Systems (CPS). Today, the Industrial Internet of Things (IIoT) applies these technologies to industrial assets to sound the bell for the fourth Industrial Revolution. This includes use cases from areas such as smart agriculture, smart cities, smart factories, or the smart grid. Around this idea exciting new paradigms, such as Fog Computing, have been introduced and existing technologies, such as concepts around the Semantic Web, gain more and more significance. Within our group, while considering the digital transformation as a whole, we focus on smart communication with the Industry 4.0. 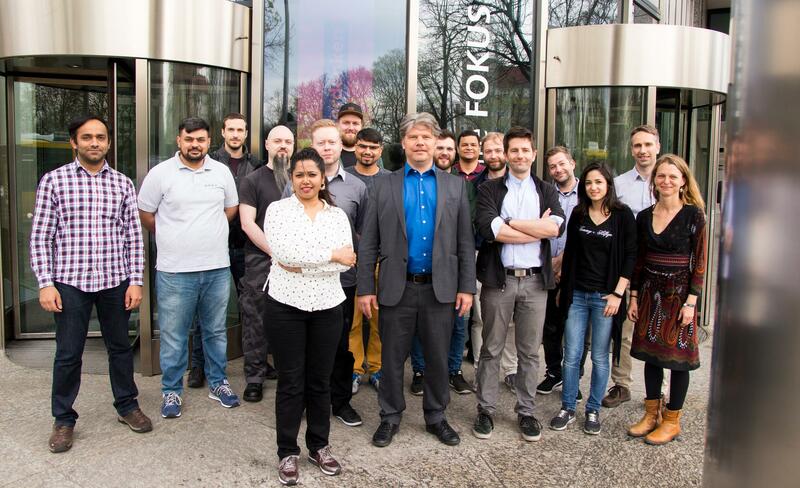 In close collaboration with the Industrial Internet of Things Center of the Fraunhofer FOKUS, we develop standard-compliant proof-of-concept prototypes and conduct vendor-independent research towards semantic-based, intelligent fog nodes. We're part of multiple initiatives such as the international Industrial Internet Consortium (IIC) or the national Plattform Industrie 4.0; organisations such as oneM2M or the OPC Foundation; and groups such as W3C WoT, bitkom e.V. and VDI/VDE-GMA. The IIoT groups at TU Berlin and Fraunhofer FOKUS are lead by Dr.-Ing. Alexander Willner and Dr.-Ing. Florian Schreiner and are composed of very talented researchers, technical experts, designers and students.